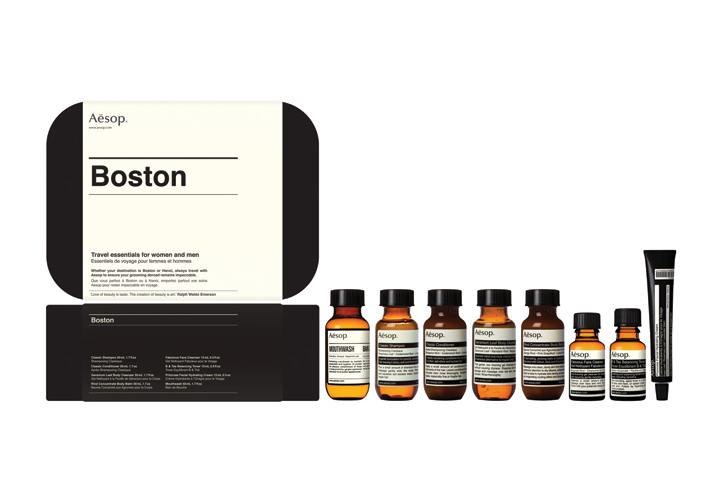 Australian cosmetic brand Aēsop presents two new grooming kits, the ‘Boston’ and the ‘London’. Having previously released kits for New York and Geneva, this dual launch features a more comprehensive collection of products. Both start with mouthwash and ‘Jet Set Kit’ – four 50mL-bottles that contain Aēsop’s Classic Shampoo, Classic Conditioner, Geranium Leaf Body Cleanser and Rind Concentrate Body Balm respectively. 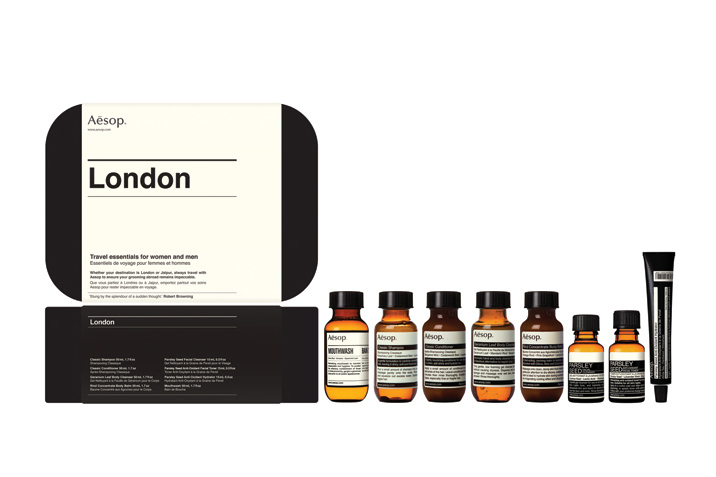 Each city bag differs on skin care, as the London edition includes a Parsley Seed Facial Cleanser, Anti-Oxidant Facial Toner and Anti-Oxidant Hydrator, all of which are ideal for any skin types. The Boston kit however, looks to aid in the care for those with sensitive skin, thus offering a Fabulous Face Cleanser, B & Tea Balancing Toner and Primrose Facial Hydrating Cream. Aēsop’s “Boston” and “London” Travel Kits are currently available at select stockists. This entry was posted in Features and tagged Aesop, Boston, Grooming, London, travel kit. Bookmark the permalink.